The year is 2022, and a burst pipe is flooding your basement. You are at work and have no idea of what’s going on. But your insurance company does. A surveillance system in the house has ’seen’ everything and relayed the details to an advanced IT system that can assess the damage, determine your coverage and get ahold of appropriate help. And because this all took place so quickly, less harm is done. The flooding can be stopped and the damage repaired before you even get home from work. This is the level of service that the insurance company Codan and its IT partner Scalepoint are working to achieve – for all Codan customers within every claims category – with the help of a digitalised and groundbreaking system of intelligent automation. The journey towards this future scenario began with a new and more customer-focused strategy – and the realisation that the future belongs to a completely different and more ’intelligent’ kind of software support. In March 2016, Codan signed a contract with Scalepoint to develop a comprehensive solution. And today, the first generation of Codan’s new claim service platform is already being rolled out on a continuous basis in most of the company’s claims areas. The new, cloud-based system allows customers to access their case files via computer, tablet or smartphone and follow the processing of their claim from start to finish. In many routine cases, the system is able to quickly and automatically process and approve a claim. “Transparency, clarity and speed – whenever we have asked our customers what they want, these are the top three answers,” Henrik says. 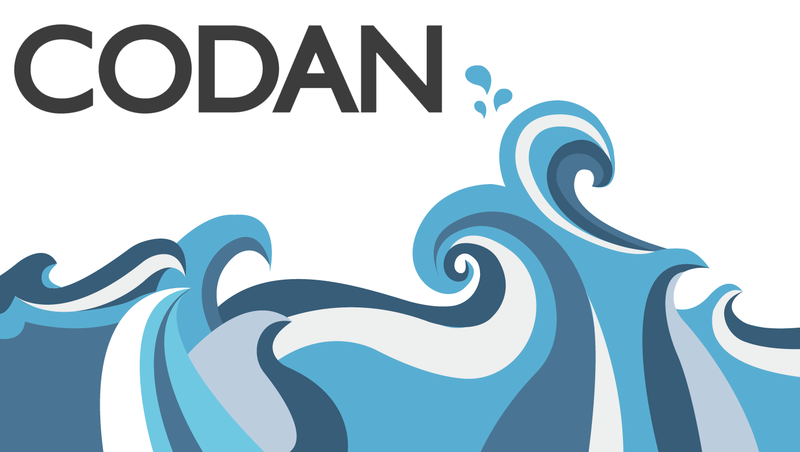 Improving the customer experience is at the heart of the transformation taking place at Codan. But the new solution will also help Codan keep expenses down. Among other things, increased efficiency through intelligent automation makes it possible to realise indemnity savings and reduce personnel costs. The solution is also designed to meet a highly challenging future for the insurance business. A future in which disruptive innovations such as self-driving cars, price-comparing websites and peer-to-peer insurance can change the business landscape from one day to the next. Henrik points out that in this type of marketplace, it will take unprecedented IT agility to stay ahead of the curve. The company must constantly be able to capture and utilise the new technologies that accompany new market opportunities and an ever-changing competitive environment..
Codan’s cloud-based solution all but eliminates development time. Scalepoint hosts the advanced solution and can quickly configure any necessary software changes. An easily-managed end-user interface then allows Codan to fine-tune the parameters of the new product. No in-house IT involvement is necessary. In time, it will also become possible for Codan to do the initial configuration via the user interface. Henrik expects the ongoing rollout of Codan’s new customer service platform to be completed by the end of this year. Following this, it will continuously be enhanced with more functionality to optimise the business and provide Codan’s customers with a superior experience. Codan’s commercial customers can hardly wait. “We have already explained what we have in mind – and they want it now,” Henrik says with a smile. The current goal of the collaboration between Codan and Scalepoint is to create a consistently high level of transparency and service across all of Codan’s claims areas – a recognisable Codan identity, regardless of whether the company is dealing with an accidental injury, a stolen cell phone or damaged wind turbine park. But the collaboration won’t stop there. “We are taking a tremendous leap forward. But if we want to remain the market leader, we must continue to move ahead,” says Henrik. Next on the agenda will be new functionalities that will, for example, enable the system to automatically communicate with and retrieve data from external sources. Automatic claims management will become increasingly widespread and intelligent as the system ‘learns’ how to use data from weather and traffic reports, damage descriptions, invoices from repair shops and a wealth of other materials. The pipe burst scenario described at the beginning of this article is a bit beyond the current project scope. But it won’t be long before it, too, becomes a reality. Codan Forsikring A/S is one of the largest insurance companies in Scandinavia. It insures private households as well as large and small businesses; in Denmark alone, Codan processes more than 200,000 damage claims per year. The company has 1,300 employees in Denmark and 3,200 employees in Scandinavia as a whole. In an insurance context, intelligent automation consists of a software ´robot’ that can make decisions, predict outcomes and take actions based on a set of rules, variables and business information. Among other things, it can speed up business processes, save labor and ensure process consistency.